Need to get rid of Pest Ants? Pest ants—also commonly known as sugar ants—are attracted to the carbohydrates in sugar, which helps them fight against parasites. The sugar is secreted to their exoskeleton as an antibiotic and fights off fungus. So they aren’t just addicts that will risk their lives for sugar – it’s critical to their survival. And that’s why they’re so quick to swarm your soda can. Why do ants never seem to go away? Your efforts with over-the-counter baits and sprays probably seem quite futile by now. 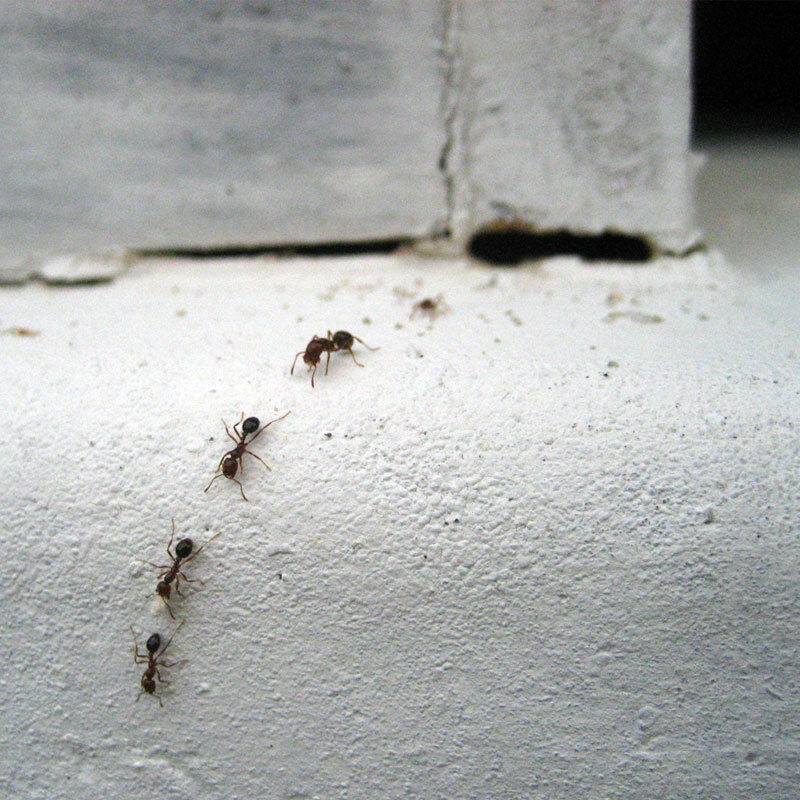 What brings ants to your home is not just food, but the weather. They’re attracted to high moisture conditions. The wet and warm spring season in the Pacific Northwest brings large numbers of ants which can be quite frustrating. If you see a few ants in your home it’s likely there are much more (regardless of how many sprays and products you’ve applied). How can you take care of this yourself? Ant remedies are like diets – everyone claims to have the solution yet nothing seems to work permanently. Rinse all drink cans and bottles and recycle promptly. Keep kitchen and bathroom sinks dry. Put away dishes after washing. Try not to leave wet dishrags in the sink, wring out and hang out to dry. Don’t leave food and water bowls out for pets – this is a huge attractant. Garbage can areas need to be clean and dispose of wet garbage in a timely manner. Clean under appliances on a routine basis. Ants love crumbs and grease. Clean out decaying leaf and plant material from flowerbeds – providing a minimum of 6” clearance from grade level to the siding. Trim back trees and shrubbery touching the house – they act a bridge. What would your Technician do for ants? Your Technician knows where to apply products to deter the ants from entering your home and will provide you with a program for control over time. Products are placed in areas of your home with the utmost concern for the environment, people, and your pets. The Bug Man is the preferred pest control company in Portland and Vancouver. We treat the appropriate areas and use Integrated Pest Management techniques. Please give us a call.